Introduction: The aim of the study was to determine whether those who are noise sensitive are more adversely affected by airport noise than those who are not noise sensitive. Participants and Methods: One area was very close to Wellington International Airport and the other was distant from the airport and any other major sources of noise such as motorways and railways. Noise sensitivity was self-rated on a three-point scale as follows: non-noise sensitive, moderately noise sensitive, or highly noise sensitive. Statistical analysis consisted of analyses of variance using the domains of the WHOQOL score with the year, area (airport or the control), and noise sensitivity as covariates. 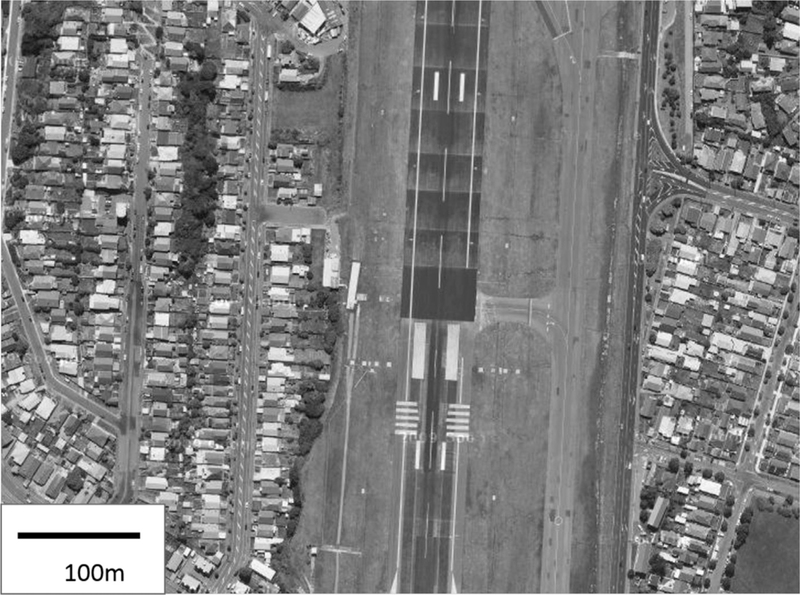 Results: Noise-sensitive people were found to have a significantly poorer HRQOL than others when they lived near an airport, but not when they lived in the control area. The same effect was present at both of the time points investigated, suggesting that it is a general finding. Discussion: This finding is consistent with similar studies using the WHOQOL-BREF for investigating noise from road traffic, suggesting consistency in effect across transport noise sources. Introduction: The overall objective of the study was to assess noise exposure and audiometric hearing threshold levels (HTLs) in call center operators. 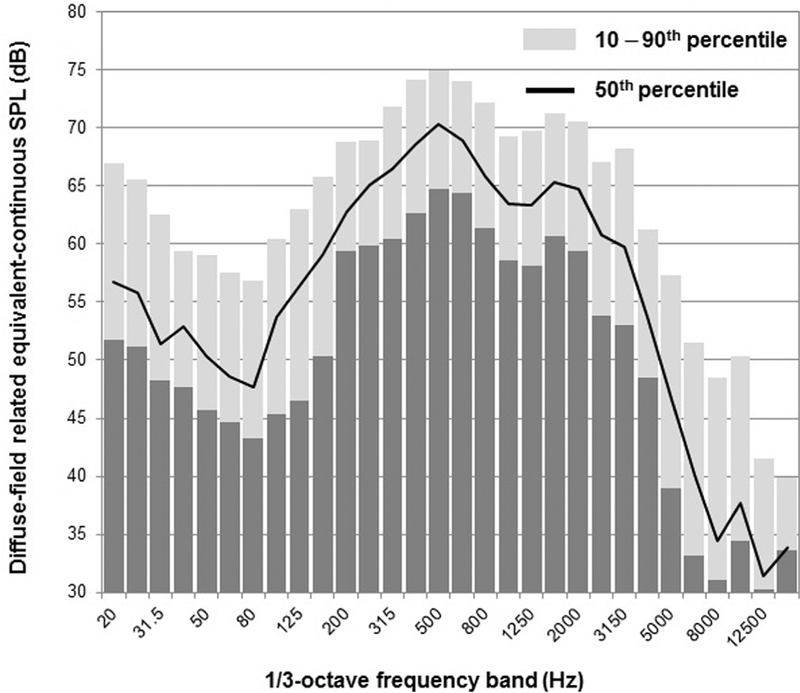 Materials and Methods: Standard pure-tone audiometry and extended high-frequency audiometry were performed in 78 participants, aged 19 to 44 years (mean ± standard deviation: 28.1 ± 6.3 years), employed up to 12 years (2.7 ± 2.9 years) at one call center. All participants were also inquired about their communication headset usage habits, hearing-related symptoms, and risk factors for noise-induced hearing loss (NIHL). Noise exposure under headsets was evaluated using the microphone in a real ear technique as specified by ISO 11904-1:2002. The background noise prevailing in offices was also measured according to ISO 9612:2009. Results and Discussion: A personal daily noise exposure level calculated by combining headset and nonheadset work activities ranged from 68 to 79 dBA (74.7 ± 2.5 dBA). Majority (92.3%) of study participants had normal hearing in both ears (mean HTL in the frequency range of 0.25–8 kHz ≤20 dB HL). However, their HTLs in the frequency range of 0.25 to 8 kHz were worse than the expected median values for equivalent highly screened otologically normal population, whereas above 8 kHz were comparable (9–11.2 kHz) or better (12.5 kHz). High-frequency hearing loss (mean HTLs at 3, 4, and 6 kHz >20 dB HL) and speech-frequency hearing loss (mean HTLs at 0.5, 1, 2, and 4 kHz >20 dB HL) were noted in 8.3% and 6.4% of ears, respectively. High-frequency notches were found in 15.4% of analyzed audiograms. Moreover, some of call center operators reported hearing-related symptoms. Conclusions: Further studies are needed before firm conclusions concerning the risk of NIHL in this professional group can be drawn. Introduction: Human performance is influenced by several job-related factors and workplace conditions, including occupational noise. This influence can occur at sound pressure levels lower than the ones that cause physiological damage, such as hearing loss, being mediated by the noise characteristics. However, studies concerning this issue are still scarce. Study. Aim: The aim of this study was to investigate the effects of three noise conditions on attention and short-term memory: standard condition (C1), environmental noise without alarm sounds (C2), and environmental noise with alarm sounds (C3). Materials and Methods: First, noise levels were measured during a normal workweek in a fast food establishment. Second, an experiment was designed to simulate the noise normally prevailing in the workplace. The noise levels were fixed at 45 ± 0.3 dB(A) (C1), 60 ± 0.4 dB(A) (C2), and 68 ± 0.4 dB(A) (C3). The influence of noise on participants’ attention and short-term memory was assessed with the following test battery: serial recall, response inhibition, and Stroop interference. Because annoyance, stress, and discomfort perceptions during the tests can influence results, visual analog scales to assess these variables were applied in the end of each trial. Fifteen undergraduate students were included in this pilot study (20–23 years; M = 21.6; SD = 0.8; all female). Results: The results demonstrated that participants’ performance during the tests was lower in C3, that is, the number of errors was higher and the reaction time longer. Participants also experienced higher levels of discomfort, stress, and annoyance perceptions in this condition. However, task performance was not found to be influenced by these perceptions. Conclusion: This study provided important insights about the different noise conditions that workers are exposed in a fast food restaurant, and how they influence participants’ performance. Further research should involve workers, exploring how these conditions are implicated in their performance in the field. Introduction: Noise and noise sensitivity have negative effects on mental health and are not well-studied in children and adolescents. In this study, we investigated these effects in the aforementioned population with respect to sociodemographic variables and environmental factors. Materials and Methods: In this population-based study conducted in two large cities in South Korea, 918 elementary and middle-school students were included. After direct measurements at the selected sites, a noise map was created using an interpolation method. The road traffic noise of the participants’ residential areas was calculated based on this noise map. Noise sensitivity was assessed on an 11-point Likert scale. Using multivariate logistic regression, we investigated the relationship among noise, noise sensitivity, and the Child Behavior Checklist. Further analyses were performed subdividing the data according to household income levels. 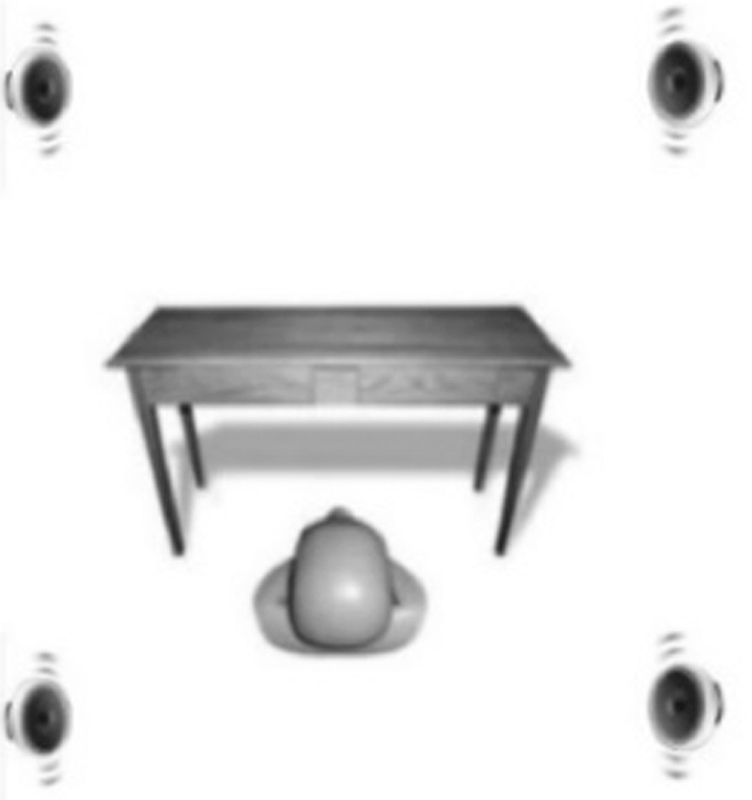 Results: Noise sensitivity was significantly associated with internalizing, externalizing, and total behavioral problems. 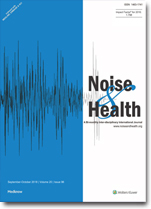 Noise was positively associated with total behavioral problems. In the low-income group, the degree of association with problem behaviors was higher, whereas the relationship between noise sensitivity and externalization problems disappeared in the high-income group. Conclusion: Noise and noise sensitivity are negatively associated with the mental health of children and adolescents, particularly in low-income groups. The findings of this study suggest that noise sensitivity and socioeconomic status should be considered in coping with negative effects of noise in children and adolescents. Context: Noise indicators are the basis to describe noise exposure–effect relationships. The assessment of these noise indicators in field studies includes various uncertainties, so that the true values differ from the determined values used for establishing curve fits. If the relationship between a noise indicator and its effect is nonlinear, uncertainties of the noise indicator modify the observed exposure–effect relationships. Materials and Methods: The determination of an exposure-relationship curve fit within a field study was simulated based on the assumption of a given true exposure-relationship without uncertainties and normal distributed uncertainties for the observed noise indicator used for the statistics. Results: In case of an upward curvature of the exposure–effect relationship, the uncertainty for the noise indicator value leads to an asymmetric effect for the curve fit. Uncertainties of the same amount of over- or underestimation will not result in an identical over- or underestimation of the observed effect. A simulation of this effect shows an increased curvature of the observed curve fit, with overestimated exposure–effect relationships. Conclusion: Although linear exposure–effect curves are not observed with a systematic shift, quadratic, cubic, and exponential curve forms include a systematic uncertainty in the presented exposure–response curve. If such curves are used to define threshold levels to limit harmful effects of noise, no further uncertainty margins are needed for those situations where the calculated noise indicator uncertainties are equal or lower than those present in the underlying field study.